One of the quickest varieties to grow making it great for kids. Amazing colours and great flavour. Successive sowing from early spring to late summer will give crisp roots for the whole of the salad season. 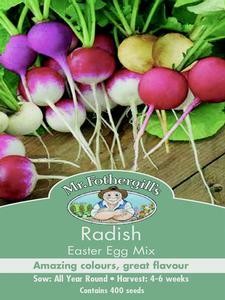 Red, purple, pink and white radishes that show off round, delicious roots. Quick and easy to grow. 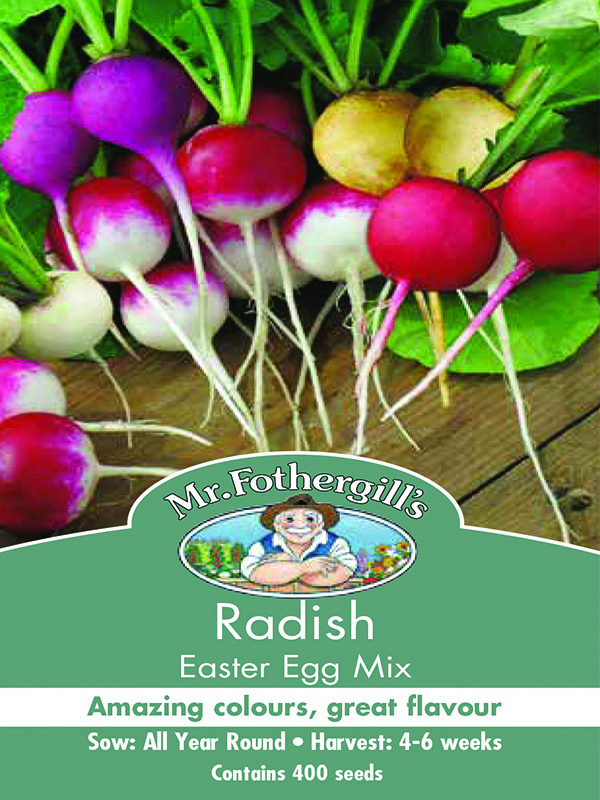 Learn some benefits of'Growing Radishes'or browse through other'Radish Varieties! Sow all year round thinly, 5mm (¼”) deep with rows 25cm (10” apart). Sow at fortnightly intervals for succession. Thin out to 2-5cm (1-2”) between plants and keep well watered. Seedlings emerge 5-8 days.